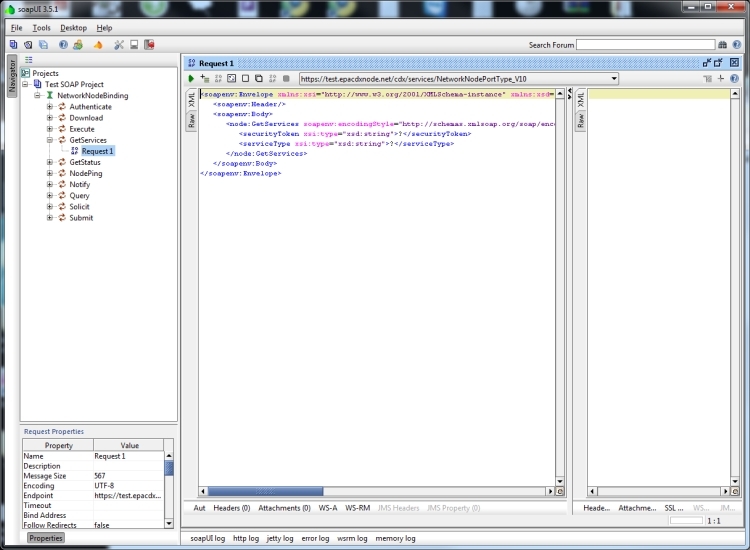 If you live in a SOAP world and haven’t heard of soapUI then you are doing yourself a disservice. soapUI is an open source tool which allows you to design and run your own SOAP XML up against any web service and visually see the results come back withing the soapUI interface – it can perform full functional, load and validation testing all in the one application. Not only that it gives you full http, soap and error logs as well from the Web Server itself should you need to diagnose any problems with your Web Server or Web Service. I love the ability to point soapUI at your WSDL and to enumerate all web methods available on a web service and then craft your own XML, with context sensitive highliting, to see what your web service will do. The best part is actually creating Test Cases to perform en masse web service calls to test loading and as well as functional tests on a large datasets. With assertions you can check the XML returned for certain conditions like whether it contains certain string data all the way up to full validation of the returned XML. 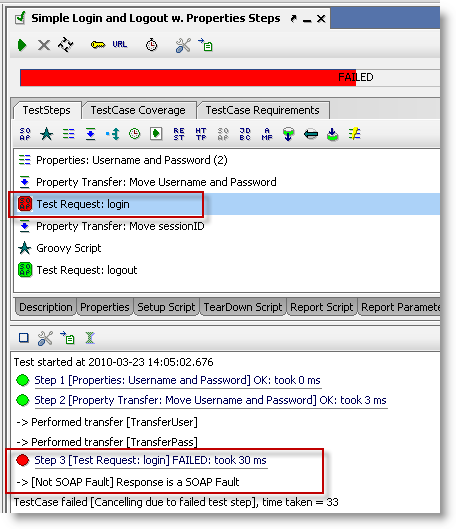 SoapUI is written in Java so all that is needed to connect to external datasinks is an available JDBC driver for your database and boom you can be pushing and validating a multitude of SOAP requests in no time. A great tool, with extensive help at soapui.org if you get stuck. If you work with this sort of thing on a daily basis you will find it a valuable addition to your arsenal.